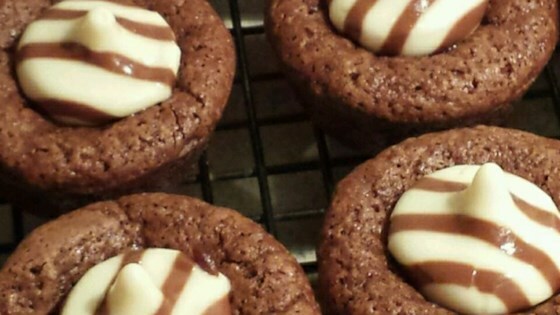 "These yummy brownies can be made vegan, just use margarine in place of butter." Preheat oven to 350 degrees F (175 degrees C). Grease a 9x13 inch pan. In a heavy saucepan combine the 1/3 cup of flour and water. Cook over medium heat stirring constantly until thick. Transfer to a mixing bowl and set aside to cool. *** AWESOME *** The best egg-free brownies ever. Next time I'll try them with 1/2 cup of chocolate chips. Great Brownies! My daughter is allergic to eggs, and thanks to you she was able to enjoy brownies that actually taste like brownies. Crunchy on the outside, chewy on the inside! Perfect!